Nothing can spice up a drum track quite like a bit of percussion, so SampleRadar thought it was high time it paid a second visit to the world of supplementary rhythm sounds. There are loops, fills, and single hits; everything you need, in other words, to give your beats some bounce. The drum breaks are split into three folders: Cajon, Conga and Djembe. Each of these contains loops, fills and hits played on that instrument. 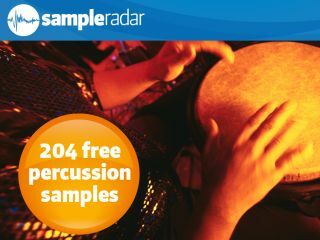 The percussion samples are supplied in a zip file, so you'll need to extract them before you can see them. Enjoy!